Bright, glossy colorful photo magnets or mirrors are the way to go to honor the birthday guy or gal. 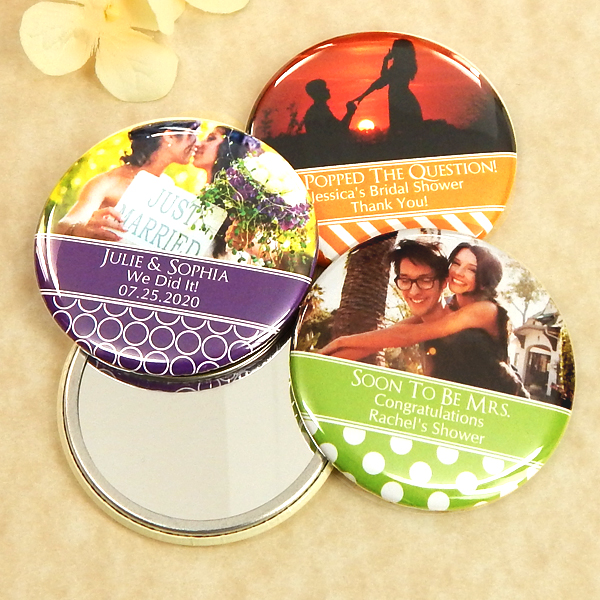 Measuring 2.25" in diameter, your favors will come with three lines of text that you choose. My only complaint is that I shouldve use another picture with a brighter back ground, other than that they were beautifully done. I would like to Thank Joyce and her team for a Job well done! 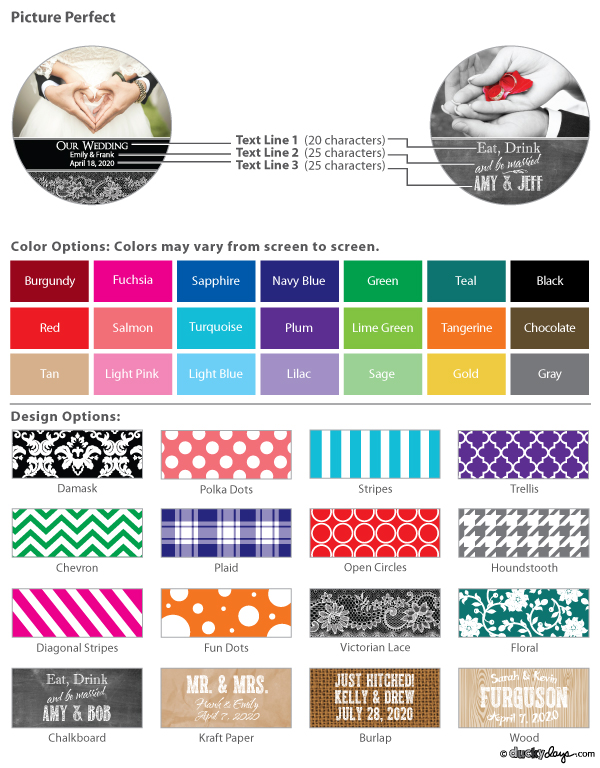 Terrific Customer Service & Product! 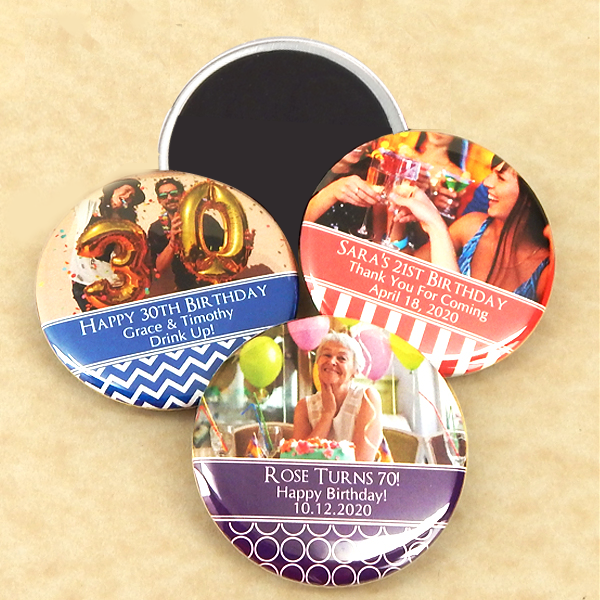 I ordered personalized magnets for my mom's birthday party and Cool Party Favors delivered a terrific product. The quality is wonderful and everyone enjoyed it. What most impressed me besides the end product is the quality customer service I received. Joyce personally called me to take care of my needs and was extremely responsive and attentive. A+ experience!